I stood in for a friend of mine in the recent Anaconda Adventure race in Noosa, who had to withdraw through injury. I did the 14km trail run, although it was actually 16kms! It was an unusual experience for me competing over such a distance, but fun nevertheless. As I was only running one leg of the race, it was fair to expect that I’d be going faster than those around me, many of whom were competing individually. I was lucky enough to pass quite a few, one of which I heard mention to his mate my “shoes” as I raced past. 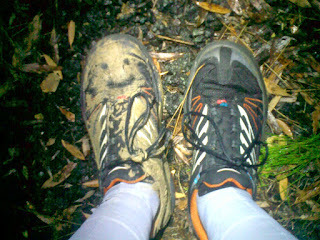 I smiled to myself as this is not uncommon as the awareness of Hokas has not spread to everyone yet. At the end of the run I waited around to watch the other competitors come through, and one in particular caught my attention – well actually he caught mine. “I’m a Podiatrist, you’re going to do some serious damage to yourself in those shoes!” he shouted (at me!). After I’d got over the shock of this, I asked if he’d worn a pair. He didn’t answer my question just repeated “I’m a Podiatrist” (I was thinking he was something else too!). I find it amazing how a health professional could introduce himself in such a way, and how he makes a diagnosis based a fleeting glance as I ran past. There was some divine intervention though as he got into his Kayak and promptly capsized! What I didn't get to say to him was that I have run over 5500km in these shoes and not had a single injury. Thinking back to the run I realised that he was the guy who spoke about my shoes to his mate on the trail, and I recall mildly rolling my ankle as I passed them. 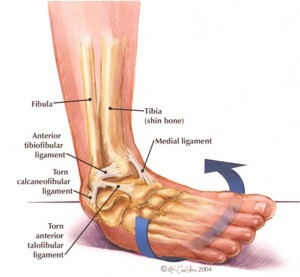 I then thought about it and can recall rolling my ankle on multiple occasions, and it’s actually fairly common for me to do so. The thing is that I haven’t injured myself from an ankle roll in as long as I can remember. This wasn’t always the case as before I got into trail and ultra running, stepping off a curb awkwardly could be enough to take me out for a week. It got me thinking that perhaps this is an adaptation from running many kilometres on the trails. In my last few runs I have been paying particular attention to the motion of my ankles and feet, and have noticed that they are very relaxed and soft over the ground. As I feel a roll from an uneven surface, my ankle tightens gently to control the roll. So rather than a sudden harsh tensing of the muscles around the ankle to fight the lateral movement, my ankle seems to roll with it (excuse the pun). Without wishing to tempt fate, it would seem that this prevents injury from increased flexibility, stronger support from the soft tissues, and by allowing some movement to absorb the stress of the lateral roll. In my experience injuries result from an uncontrolled stretch of the tissues, exacerbated by the muscular contraction, hyperextending beyond their limits and tearing the muscles. Obviously muscle strength plays a big part in this too. I would have expected any adaptation would be a super strong ankle, which would not roll and instead maintain a regular position. However, it would seem that I tend to roll with the terrain, and control the action, so controlling the forces involved rather than fighting them. Be happy on the trails! Whatever the reason for this, the result is that you can run hard and fast on those rough downhill sections of the trails with confidence. After all you’ve had to work hard to get to the top of the hill, so you don’t want to be holding back on the downhill and not take advantage of having gravity on your side! Andy, as you know, I've been a big proponent of Hoka's. They are the best for downhills and they allow me to run with a neroma. However, I have rolled my ankle in them as well (which I am prone to do), and it happened in a race last weekend. I use the Stenson's original version, and have found the new EVO version to be less stable. Also have noticed Hoka's do not do well in mud. Anyway, thanks for the post and stay in touch!